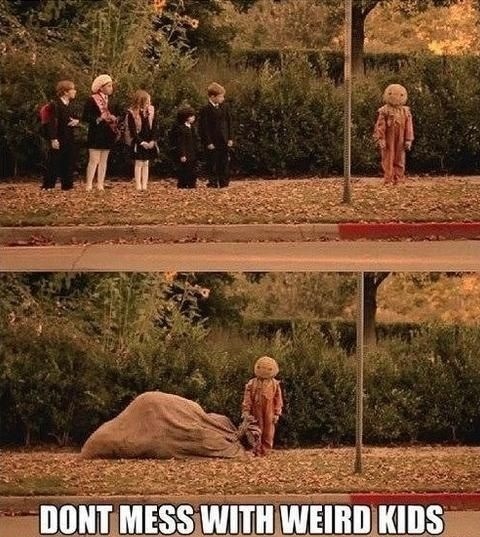 Warning: Don't mess with weird kids on Halloween. This might happen to you! A Bicycle Made Out of Cardboard?! Cutest Baby Outfit ... Ever! Captain Jack Sparrow Buying Beer? Puppy + Kitten = True Love? Pool in the Back of a Pickup Truck? A New Way to Make Caramel Apples? Star Wars Leah The Next Disney Princess? Kitty: I Find Your Lack of Fluff ... Disturbing! "Consuela" Charged with a Felony?